With thorough industry knowledge, we are engaged in manufacturing and supplying a wide range of HTP Pump. 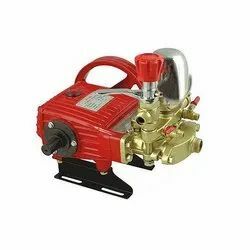 These pumps are able to provide high pressure and diffuse water for pumping water in domestic and commercial applications. Our range is widely applicable for agricultural and industrial purposes. The HTP Spray Pump provided by us is available to clients in a wide range of sizes and shapes. 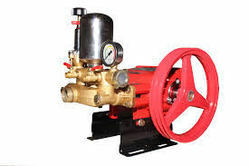 In order to cater the numerous necessities of the patrons, we have been able to provide a wide range of HTP Pump. l11 nozzle bullock operated HTP spray pump Capacity 200 litre.